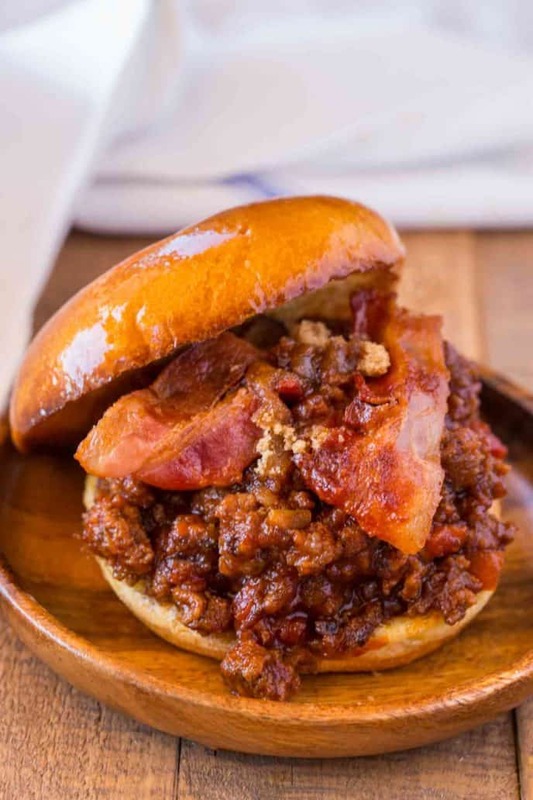 Bacon Brown Sugar Sloppy Joes are the perfect sloppy joe with garlic, salty bacon and sweet brown sugar. 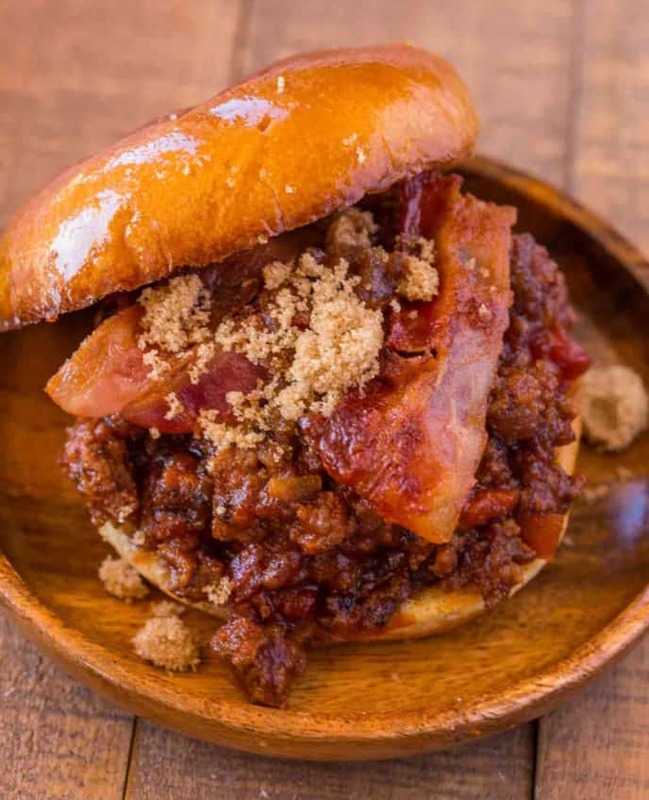 This will be your new favorite sloppy joe! We are obsessed with Sloppy Joes and as we were recipe testing we happened to be enjoying our favorite meatloaf Glazed Brown Sugar Meatloaf when the idea for this recipe popped into our heads. Sloppy Joes. Easy Sloppy Joes Recipes. Are you folks ready? We’re starting a new WEEKLY series on here. I don’t have a fancy name for it. I just know we love all things sloppy joes and we’ve been enjoying them for months in anticipation of this moment. 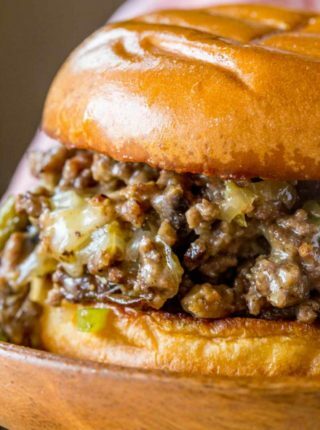 We’re going to be enjoying these sloppy joes through the new year! On Monday’s I’ll be posting a new, delicious, easy sloppy joe recipe for you all to enjoy. My hope is that you will say, “uh, yes please” and go out and get the ingredients. The ones I post on Mondays are the exact same recipe we will be enjoying Wednesday in our house. So if you shop and cook it two days from now on Wednesday, we will be enjoying the same dinner! Why Sloppy Joes? 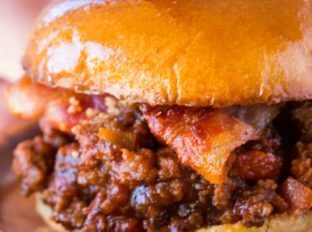 How are Sloppy Joe’s different than Hamburgers? 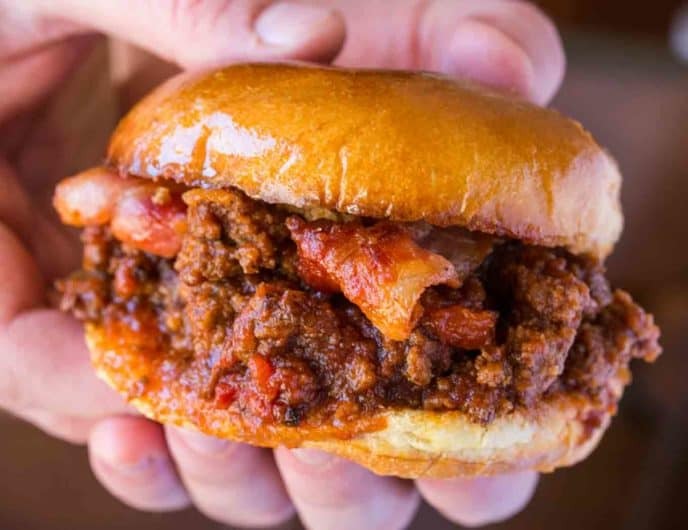 We LOVE sloppy joes because they’re softer/more tender, easier to eat than hamburgers and we can adjust the filling amount easily per person. PLUS THE SAUCE. Yes, the sauce is so much better than just adding a sauce to your hamburger bun. This keeps the whole sandwich juicy and full of flavor. PLUS, it’s easy. 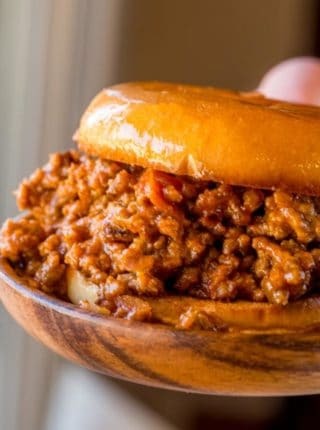 One package of ground beef, one potato masher and a few ingredients is all that you need to make delicious sloppy joes. It simmers while you prepare the rest of your dinner and if it gets dry you need to just add a bit of water to loosen the sauce back up again. Bacon Brown Sugar? 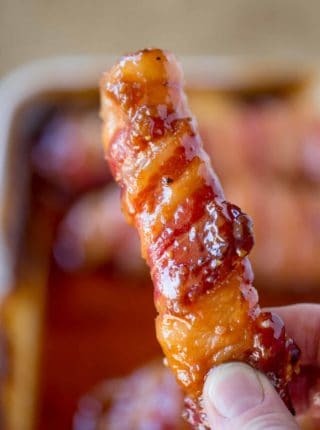 Oh yes, if you love this blog you know my love for all things bacon and brown sugar! Like this recipe? You’ll like these, too! What goes good with sloppy joes for a side dish? 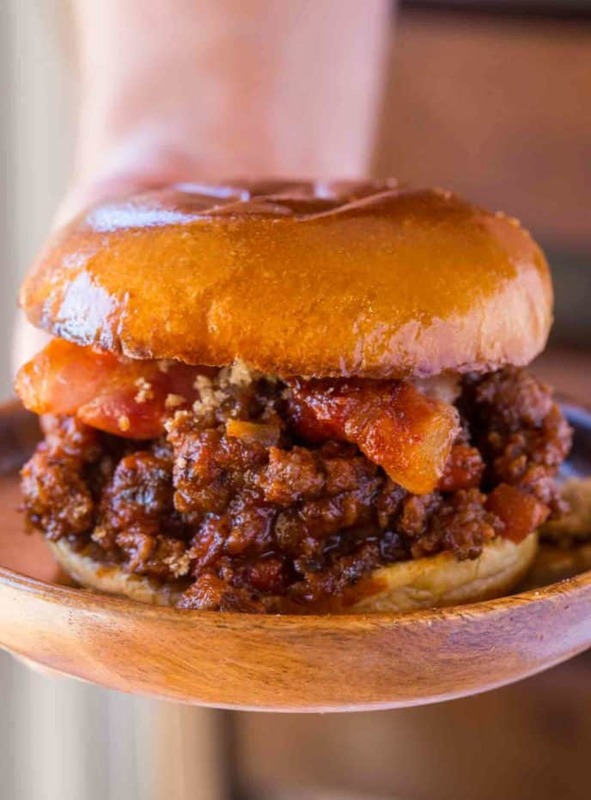 We love serving sloppy joes with Crispy Sweet Potato Fries, Beer Battered Onion Rings, Loaded Garlic French Fries or your favorite roasted vegetables. Make sure your ingredients are ready ahead of time, don’t let the pan scorch. Make sure you drain excess fat from the beef, I use 85/15 to minimize excess fat. Don’t let the sauce reduce until dry, stop the cooking when it still looks nice and saucy. Sauce will continue to reduce even after you turn off the heat. If you want to meal prep just leave the sauce extra saucy before shutting off the heat. You may need a bit of water when reheating. We love adding cheese to the mixture before serving. Just don’t add the cheese too early, add just early enough to allow it to melt slightly. Are you going to join us and enjoy this recipe on Wednesday? Remember if you make this dish this Wednesday, we’ll be having the same dinner. I’d love to know how it turns out for you so if you do make the recipe pretty please come back and leave a comment letting me know how it turned out for you. We put a ton of effort into recipe testing 35 Sloppy Joes for this weekly series! The reason we did (aside from the fact we LOVE them) is because you all have gone nuts for ALL 4 of the sloppy joes on the site! In a large skillet cook the bacon on medium high heat for 2-3 minutes or until crispy but still bendable. Remove the bacon from the pan and reserve about 2 tablespoons of the oil to cook the onion, garlic and red bell pepper. Once softened add in the beef, lower the heat to medium and cook well, breaking it apart but leaving some chunks about the size of a raspberry or small grape (don't crush the heck out of it, the larger crumbles will help give the sandwich stability). Cook until well browned (5-6 minutes), then add in the paprika, tomato paste, tomato sauce and brown sugar. Stir well, continue cooking until the sauce starts to evaporate and the mixture becomes "sloppy" (about 5-6 minutes). The consistency you are looking for is reduced enough that spoonfuls can be placed on top of each other with the bottom spoonful not spreading more than a half inch or so. Add the bacon back in. Toast the buns then spoon over the mixture and top with additional bacon and sprinkle of brown sugar (if desired). I made these for dinner tonight…..yummy.. Made it exactly as directed as I believe the first time you try a recipe you should try it as is. It was very good. My new go to recipe. Thank you!! REALLY difficult to scroll down to actual recipe w/o a hoard of annoying ads :P. A lot of food blogs are like that. I usually won’t go back. Your sloppy Joes look good, but the many ads are too annoying for me. I’m sorry you feel that way. You can always go into your computer settings and adjust your setting so you won’t see them. Oops, sorry about that! 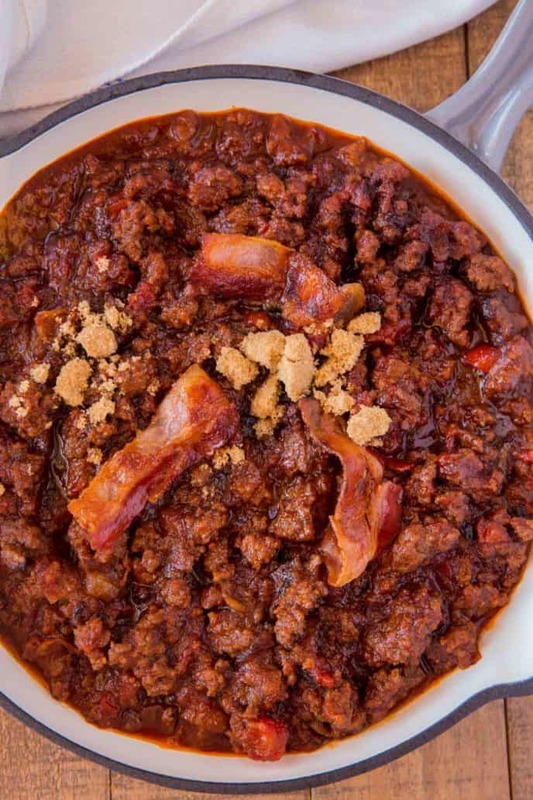 You’ll want to add the bacon back in at the end. I’ve updated the recipe card. So glad you’re loving all of the recipes!! Oh yum that looks so good, I want one of those for lunch! Love that bacon addition! YUM! Adding bacon is always a good idea!! Yum! This recipe looks incredible! This looks so good! 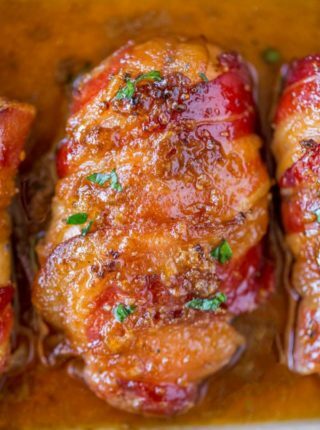 Bacon and brown sugar is a combo to die for! Oh wow these look mouth watering and amazing!! This is the best upgrade to a sloppy joe that I’ve ever seen!! Bacon and brown sugar FTW.